Vendasta’s Marketplace offers a wide variety of white-label services. One of of it’s more recent offerings is their “Reputation Management” software. If you are a well-established agency, looking for a solution to some of your mundane business tasks, Vendasta has some great options. This review specifically considers Vendasta’s Reputation Management platform. While some of our services are in competition with Vendasta’s offering, we want to give you accurate, unbiased information in order to help you make an informed decision. As a note: Vendasta advertises as a creator of digital solutions for small and medium businesses (SMBs). However, they do not sell their software directly to SMBs, rather, they recommend that local businesses make their purchases through an “expert agency” (one of their partners). If you are a SMB in the market for invoicing, bookkeeping or growth software, and are looking to avoid the cost of purchasing from an agency, consider ZipBooks. We keep our prices competitive and our services up-to-date in order to help local businesses grow. What is Vendasta’s Reputation Management? 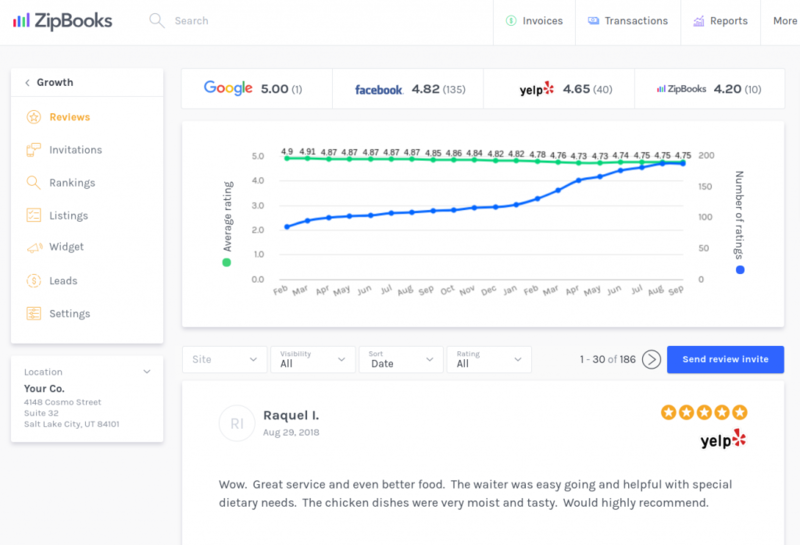 Vendasta’s white label reputation management software allows you to help clients manage and monitor all aspects of their online reviews and community. As a marketing agency, you purchase Vendasta’s software and resell it to local businesses. 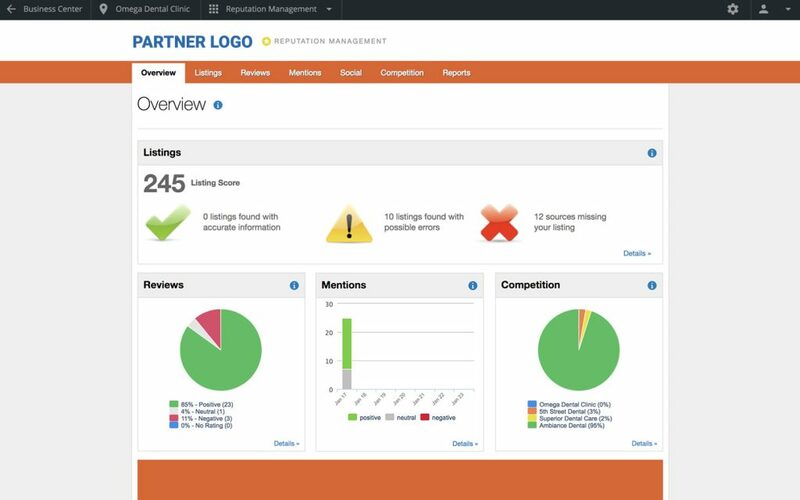 Using this software alerts your clients to new reviews, helps them respond to negative and positive feedback and tracks competitor activity. Marketing agencies and media companies looking for white label solutions for their clients should consider Vendasta’s reputation management software. All of Vendasta’s marketplace solutions allow you to put your logo on their service offerings—meaning that your brand gets all the credit! 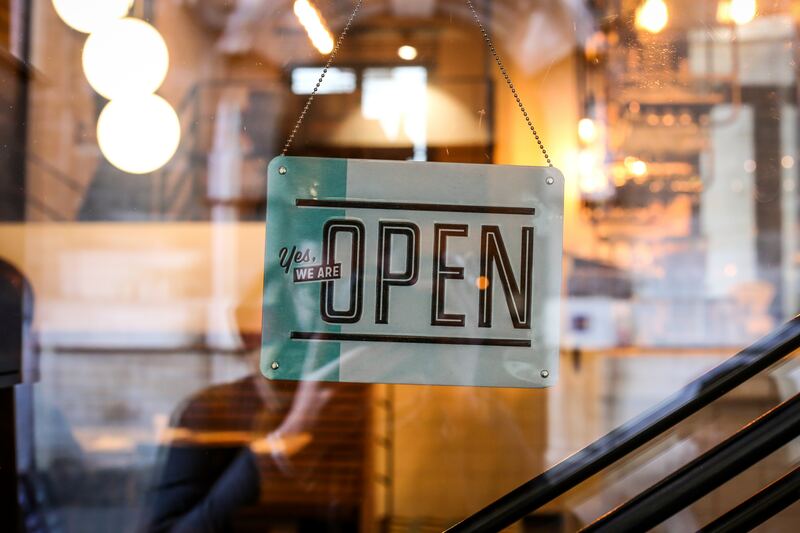 Small businesses can purchase “Reputation Management” through one of Vendasta’s partners. However, there are many similar, more affordable reputation tracking software options available to local businesses. Vendasta’s Reputation Management covers all aspects of tracking and improving your online reputation. Vendasta pricing is subscription based, though each level has an additional onboarding fee that is not listed (ranging from $1000 to $5000). Reputation Management is a separate product that you can purchase through their marketplace. Vendasta sells this software to subscribed partners for $15/month per location, and those agencies can determine how much they charge local businesses. What are people saying about Vendasta? G2crowd—a review platform for business solutions—labelled Vendasta’s Reputation Management as the G2 Crowd Leader for Fall 2018 in the “CRM All-in-One Software” category. The platform received a 4.3 star-rating, averaged from 17 reviewers. Overall, most people seem very happy with the software, though the cost is high. Clients appreciate Vendasta’s customer support and like that the product is truly white label. Many people complained, however, that the ability to connect with social medias is imperfect (“a little dated”) and again, that the subscription is expensive. As explained, if you are a marketing agency with multiple clients, using Vendasta’s reputation management allows you to resell their software under your label at your price. If you are utilizing multiple solutions by Vendasta, then the high price is worth the exchange. However, if you are a small business looking for growth solutions, Vendasta’s software is not for you. In fact, they won’t even sell to you. Consider more affordable options for monitoring online reputation, like ZipBooks’ Growth. Whether or not you are currently using our accounting software, ZipBooks’ reviews and growth platform will help you build online presence and word of mouth. Our growth plan starts at $49/month and is separate from our accounting subscription. Likewise, we monitor all stages of the review process. Whether you are an established agency or an innovative startup, ZipBooks wants you to succeed. Don’t try buying Yelp reviews—just choose the best software for your needs in order to achieve the growth you are looking for. And Good luck!